When it comes to the online poker industry, there are always changes and new developments occurring. This sees all poker sites continually having to upgrade what they provide to players and reflect on what people expect from them. At the moment, there is no getting away from the fact that mobile poker is very important and all of the key poker sites are working hard on delivering something of merit and value to players. There is no denying that the 888 Poker site is a very popular one and as the main review of the site indicates, it is popular for a very good reason. This is an online gaming name that people trust in and it offers a lot of benefits. This sees plenty of poker players having expectations for what the 888 Poker mobile app will provide and of course, this places a level of pressure on 888 Poker. The site has created an app for Android users but it has also delivered an iPhone and iPad app, which should see all mobile poker players pretty well catered for. When it comes to mobile poker options, if a site doesn’t provide good apps for these options, they are wasting their time of all of their players. 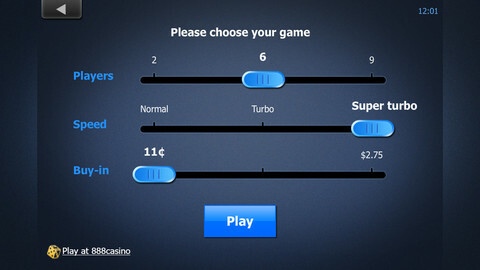 The 888 Poker mobile app provides a practice play where players can try out the app and the games without actually spending any of their own money. This is always going to be a great starting place for all poker players and will hopefully provide the element of confidence that most people are looking for. A lot of people have been wary about getting into online poker for various reasons and there are just as many concerns and considerations about mobile poker. However, the key poker sites, like 888 Poker, have worked very hard to ensure that their app provides a safe and secure style of play for all players. Being able to play for free is a great asset for any mobile poker app and it is likely that many 888 Poker players will move upwards to the main body of the site. 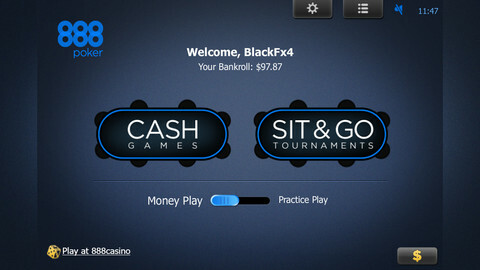 The familiarity between the main 888 Poker site and the mobile app is a great starting place for all players. 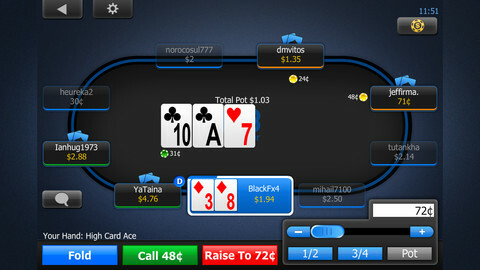 If you have used the main poker site, you will feel very much at ease with the iPad and iPhone options. The iPhone option looks great but it is understandable that the iPad version is by far the best looking of the two. The iPad, and the Mini iPad, are probably the perfect devices for playing poker on and the 888 Poker site definitely lives up to this billing. With access to the cash and sit n go games of the main site, there will be plenty of options for the 888 Poker players to pit their wits against their customary rivals on site. 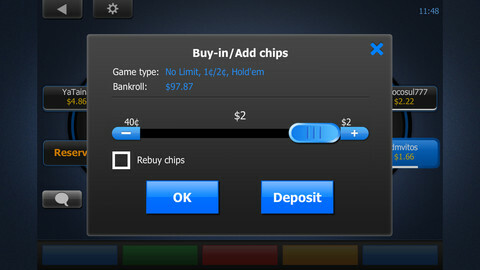 It is the sense of continuity with 888 Poker that makes it a very strong choice for so many people. The fact that this app can be accessed with Wi-Fi or 3G is a neat touch and not one that is available on every mobile poker app. Players should take note of their data usage and billing before they rely on 3G for their mobile poker fun but there is no getting away from the fact that the flexibility provided by this poker option is going to be welcomed by many poker players. The quick click lobby features will get you involved with the action in a short space of time, which is pretty much what most players are looking for. There is plenty of fun in store for 888 Poker players and if you have an iPad or an iPhone, there is no reason why you can’t be playing poker everywhere you go.